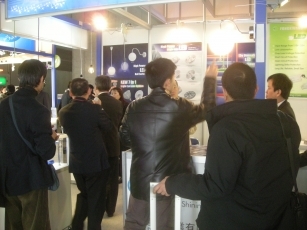 Many thanks for meeting you at 2011 Tokyo Lighting Fair. I would like to establish business relationship with you and I hope our products will satisfy your demand. We always proud of introduce ourselves: Our company, Goldyear Industrial Limited, which has been in the line of LED lighting business in Taiwan and China for more than 8 years. We constantly put a lot of resources to develop new, fashion products, that’s the reason why our products are very popular by the customers all over the world. Our products cover a wide range, including LED LIGHT SERIES, such as LED DOWN LIGHT, LED PENDANT LIGHT, LED SPOT LIGHT and so on. Here I would like to invite you to our website (www.goldyear.net), where you may find all the details of our products. During the fair we received your queries for our GU10 7W, and here I attached you the spec sheets again. If you have interest in our products please don’t hesitate to contact me again. Thank you and I am looking forward to you earliest reply.